I tried search but couldnt find this but wanted to know exactly what receptors are and exactly how they work, better yet please explain to me what happens to your body step by step when you take juice.I do know that when you take it that your natural test shuts off but do not understand exactly what is happening from then.Please no flames because Im learning too. the androgen receptor AR is a region on the mRNA (DNA transcript) that initiates protein synthesis when it is activated. 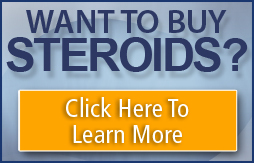 it becomes activated when an androgen like testosterone or trenbolone binds to it. this is not the only way steroids exert their effects though. dbol , anadrol , winny, hardly bind to the AR at all, so it is best to stack steroids that bind to the AR with steroids that don't bind to the AR to create maximum synergistic effect. your hypothalamus is responsible for sending signals to produce testosterone natually, but when there is an overabundance of androgenic hormones such as estrogen, testosterone, nandrolone , etc, your hypothalamus sees no more need to send signals for test production anymore and shuts down. it takes a while for this endocrine gland to recover if it has been shut down for extended periods of time and may never recover if shut down too long. this is why cycles are recommended to not go over 10 weeks. Last edited by Dr.Evil; 03-27-2002 at 02:37 PM. thankx dr evil. I undestand it a little better but still alittle confussed.Im not gonna lie Im lost..sorry.what is the mrna? mRNA stands for messenger ribonucleic acid. this is the middleman between DNA (deoxyribonucleic acid) and proteins. the androgen receptor AR is a region on the mRNA (DNP transcript) that initiates protein synthesis when it is activated. it becomes activated when an androgen like testosterone or trenbolone binds to it. this is not the only way steroids exert their effects though. dbol , anadrol , winny, hardly bind to the AR at all, so it is best to stack steroids that bind to the AR with steroids that don't bind to the AR to create maximum synergistic effect. your hypothalamus is responsible for sending signals to produce testosterone natually, but when there is an overabundance of androgenic hormones such as estrogen, testosterone, nandrolone, etc, your hypothalamus sees no more need to send signals for test production anymore and shuts down. it takes a while for this endocrine gland to recover if it has been shut down for extended periods of time and may never recover if shut down too long. this is why cycles are recommended to not go over 10 weeks. What are a few AS you can give as examples, that do stick well to the AR's? tops would be either DHT or trenbolone (finaplix ), followed by nandrolone , boldenone , masteron , testosterone . Hey Doc, did you mean DNA transcript? lmao. yeah, that's what i meant. Dr Evil, Do you see a danager in keeping the test level at 1100 for six months or so by using cyp at low levels, lets say 100mg to 300 mg per week? Could this shut the receptors down?